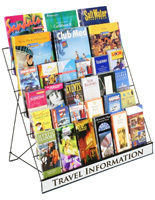 The Wire Rack Works Well to Present Literature like Brochures and Books. 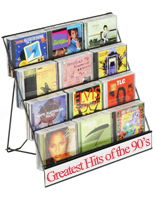 The Metal Shelves can Also Display CDs, DVDs, and Other Merchandise. 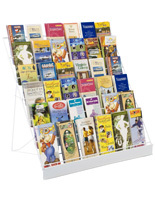 The Wire Rack has 6 Tiers that are Made of Metal for Durability. Shelves on the metal holders are able to hold a large variety of items! Pricing of this display is very affordable! Finish on the unit is a durable black powder coating! 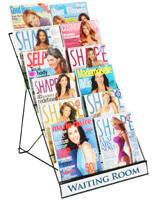 This wire rack is going to be your most adaptable countertop display. 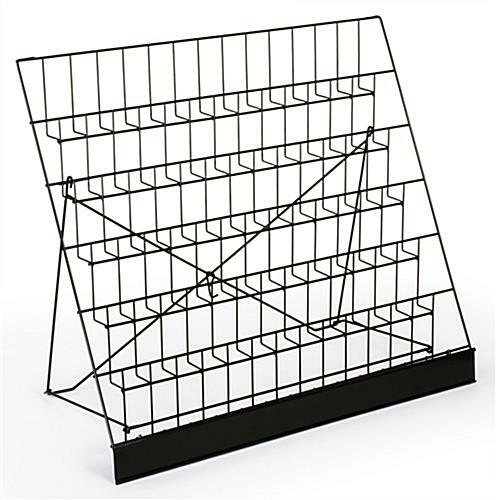 This commercial holder, wire rack has 6 shelves. The multi-purpose holder, wire rack will hold a large variety of items in its metal pockets. 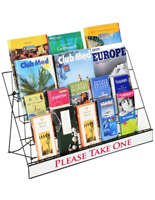 This merchandise stand is a great point of purchase accessory for increasing. 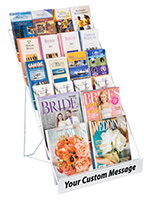 The wire rack, called a flexible POS kiosk, is well-suited for drug store counters, gift store countertops, supermarket checkouts, and other point of sale locations. Gas stations could use the metal rack to display candy on their cash wraps for impulse buys. 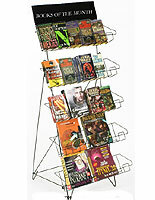 This wire rack will showcase goodies, books, greeting cards, magazines, or CDs because of its 2-1/2" deep pockets. 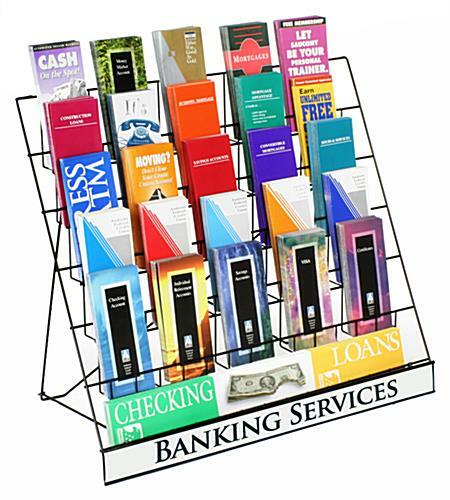 The countertop POS holders give more visibility and notice to items that are for sale. 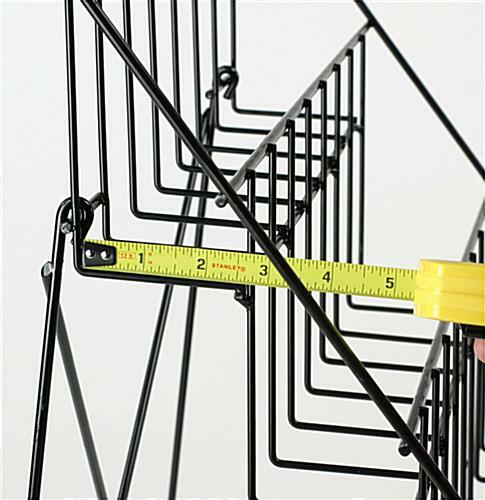 The wire racks are finished with a strong and long-lasting powder coat in black. 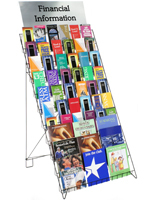 The bottom level of the holder has a sign channel plate that will display a message of your choosing that measures 29"w x 2-1/2 "h. Custom printed signs for this holder are not provided by us. The "Banking Services" sign is placed in the picture to show customers what is possible in the space. 29.0" x 24.3" x 17.5"